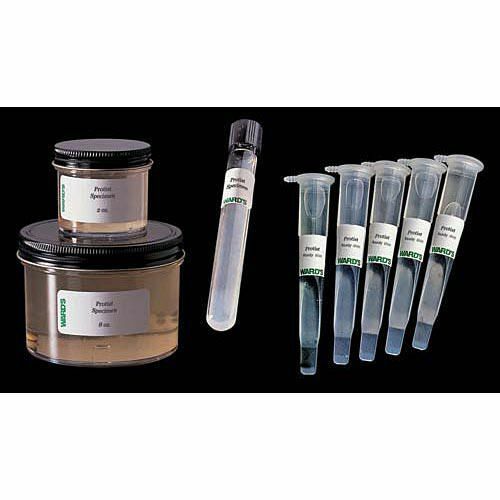 Demonstrates isogamous reproduction where gametes are similar in appearance and behavior. 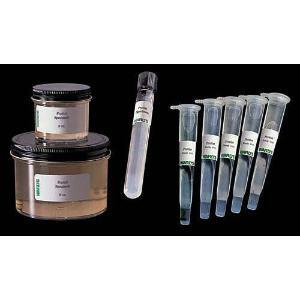 Make lectures and labs on protist reproduction clearer with our specially selected cultures that illustrate various reproductive phenomona. 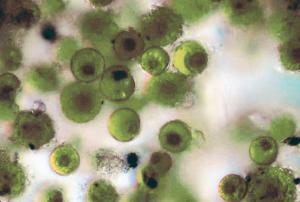 This green alga is a unicellular flagellate commonly found in damp soil, and aquatic environments. Each cell has 2 flagella and a large eyespot that allow it to sense light. While all genera of Chlamydomonas are capable of growing in the light, C. reinhartdii can also survive in the dark if it is provided organic carbon.